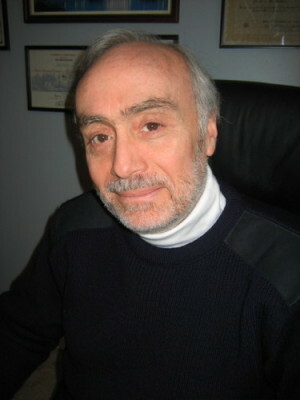 Dr. Eric S. Mondschein is an education consultant and writer, and the author of Life at 12 College Road. He has a Bachelor’s degree in political science from the American University, a Master’s degree in delinquency prevention, and a doctorate in law and education from the University of Massachusetts at Amherst. Eric has taught law and education at the undergraduate and graduate levels at the University of Massachusetts, the American University in Washington, DC, and the State University of New York in Albany. He has worked for the US government in various capacities, published and edited numerous articles and books in various areas of law and education and written and managed numerous grants from the private and public sectors. He directed an award winning law-related education program for the New York State Bar Association from 1980 through 1994, where he managed and developed many programs in the areas of constitutional, international, environmental and education law as well as other areas of civil and criminal law. From 1995 to 2006, he served as an advisor for external affairs in Haifa, Israel, where he advised the governing board of an international non-governmental organization in the area of external affairs, including government relations, security and provided analysis of human rights situations in selected countries throughout the world in general, and in Iran and the Middle East in particular. He also served as the citizen representative of The Post Star editorial board, which won the 2009 Pulitzer Prize for editorial writing. He currently resides in the Adirondack Mountains of upstate New York with his wife, Ginny. They have two grown children Adam and Emily, a son in law, Kamal, a daughter in law, Yaani, and grandchildren, Annie Rose, Nathanael Badi, and Eli Mehdi.